The original community that has become known as Santa Paula was established by the Chumash Indians as the villages of Mupu and Srswa. The land was later given away as part of a Spanish land grant to Rancho Santa Paula and Saticoy in 1840. In the 1860’s, the area was subdivided into small farms. In 1880, oil was discovered in Santa Paula leading to the formation of the Union Oil Company in 1890. The City of Santa Paula was incorporated on April 22, 1902. Paula is noted for its movie personalities (silent and sound) who resided in and adjacent to the city and a TV or movie crew is not an unusual sight in the community. The City is a major distribution point for citrus fruits in the United States and is also noted for avocado producing and processing. The community has a quaint, small town image, ideal climate and reasonable priced housing, which is why Santa Paulans refer to their community as “Hometown USA”. Santa Paula maintains its own identity and is in close proximity to the many tourist, recreational, and cultural activities that abound in Southern California. With an exceptional combination of climate, location, and charm, Santa Paula is a favorite destination for visitors all year. 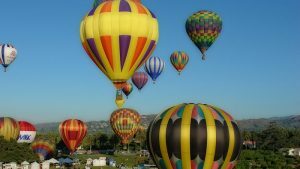 Rich in history and culture, there are perennial attractions and annual events for every interest and all ages. Pleasant sunny days are the rule year-round, moderated by nearby coastal waters but without the fog common at the beach. The community is conveniently located in southern California along the 126 Freeway, less than an hour from Los Angeles, Santa Barbara, and Santa Clarita. With a population of nearly 30,000, Santa Paula is a thriving mix of tourism, agriculture, and Main Street business, with plenty of warmth and welcome for visitors! 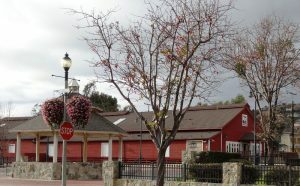 Santa Paula remains the heart of the Ventura County agricultural industry. Based in Santa Paula, Limoneira Company is one of the premier integrated agribusiness operations in the world. Today Limoneira Company and its affiliated companies encompass thousands of acres of rich agricultural lands throughout the state of California along with strategic investments in food processing, fresh produce marketing, and specialty produce packing. Calavo Growers, Inc., one of the world’s largest processors of avocados is also based in Santa Paula. Calavo is the preeminent marketer of premium California avocados with the largest grower base in the industry. The company’s processed products division, Calavo Foods, Inc., manufactures close to 100 brand name and proprietary flavors of guacamole. 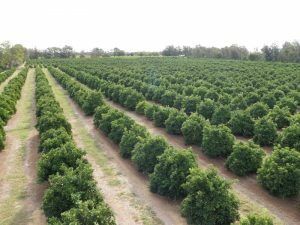 Other important agricultural businesses with large operations in Santa Paula include Saticoy Lemon Company, Fruit Growers Supply, Pan American Seed, Shore Packing Company, Rain for Rent and Fruit Growers Laboratory. Automotive products and supply businesses also call Santa Paula home. These companies include Automotive Racing Products which produces virtually every fastener found in an engine and driveline, ranging from quality OEM replacement parts to exotic specialty hardware for Formula 1, IndyCar, NASCAR and NHRA drag racing applications as well as Bend Pak, America’s largest manufacturer of tubing benders and above ground vehicle lifts. Santa Paula is also home to Abrisa Glass, the world’s leading technology glass, glass components and coating company. 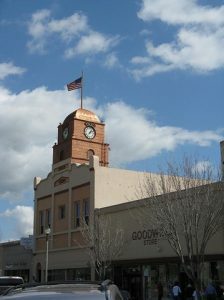 Retail businesses thrive in Santa Paula with many located on our historic Main Street. Santa Paula is also fortunate to have the premier Chevrolet dealer in California with Santa Paula Chevrolet. The Mupu School District serves elementary school and middle school students from Santa Paula. The Ventura College, East Campus serves college age students in Santa Paula. Thomas Aquinas College, an internationally known Catholic liberal arts college, is located just outside of Santa Paula. 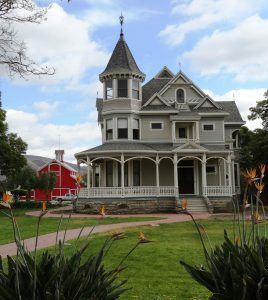 Santa Paula has many historic attractions for everyone. The California Oil Museum, located in the historic Union Oil Building on the corner of 10th and Main Streets, houses an outstanding permanent collection tracing the history of oil exploration and production in California. The Santa Paula Art Museum, located in the historic Limoneira Building at 117 North 10th Street in downtown Santa Paula, preserves and shares the artistic heritage known as the Santa Paula Art Collection. The Aviation Museum of Santa Paula honors Santa Paula’s history as the “Antique Airplane Capital of the World”. The Santa Paula Airport is the home of many experimental and antique craft, many of which are used in movie and TV productions. Santa Paula loves its special events each year where locals and visitors alike get to sample a taste of the good living in Santa Paula. These events include the “First Sunday” events at the Santa Paula Airport throughout the year, the Mexican-American Chamber of Commerce Carnival and DeColores Art Festival in April, “Cruise Nights” on Main Street each first Friday night on Main Street April – October featuring pre-1975 classic cars, the Citrus Festival each July, the Heritage Valley Festival each September, “Ghost Walks” reliving spooky parts of Santa Paula’s past each October weekend, the Children’s Halloween Parade down Main Street, Moonlight at the Ranch a fun-filled themed event at historic Limoneira Ranch in October the Santa Paula Christmas Parade the Saturday after Thanksgiving and Christmas events every Thursday evening on Main Street between Thanksgiving and Christmas. 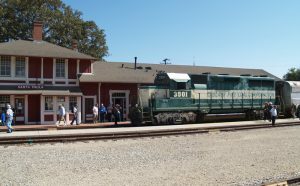 Santa Paula’s charm and hospitality will pleasantly surprise you, and the City is still one of the best kept secrets in Southern California.